What is a Key Factor in Maintaining Brain Function in Later Life? The number one factor in maintaining brain function in later life is (drum roll, please) – an educated, active brain. Studies show that the more education you have, the more you are able to retain cognitive function and mental abilities as you age. So says Sam Wang, Ph.D. Professor of Molecular Biology and Neuroscience, Princeton University. Professor Wang is the lecturer in the current course I am taking from The Great Courses entitled The Neuroscience of Everyday Life. Additionally, Professor Wang is the co-author of the best-selling book Welcome to Your Brain which has been translated into 20 languages. 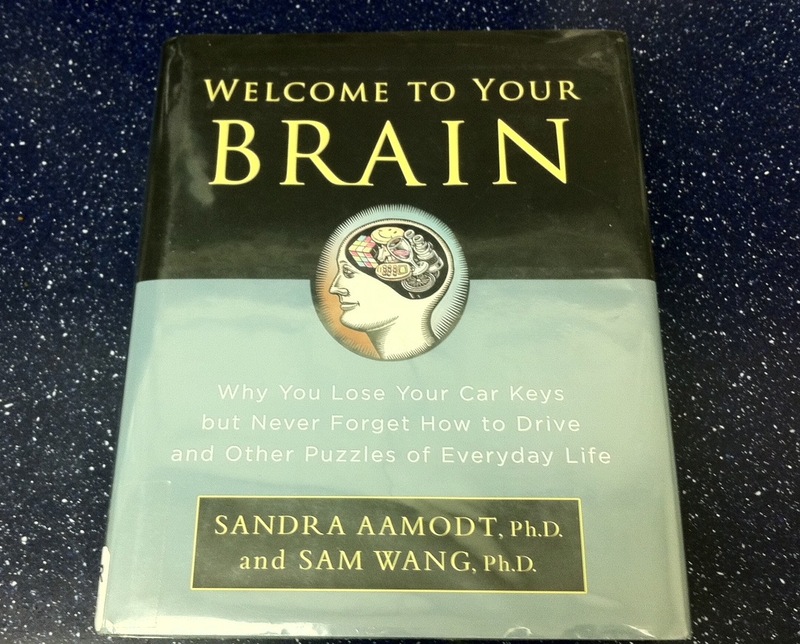 I alluded to this book in my post entitled Tricking Your Brain into Helping You Lose Weight. Why is it that the more education you have the more healthy a brain you possess as a senior citizen? Dr. Wang suggests that possibly higher education gives us mental tools for thinking. Also higher education is the province of people who are curious. So, in real life curiosity doesn’t kill the cat it builds skills in the dude. He also suggested that having multiple hobbies, traveling and learning a new language contribute positively to retaining cognitive functioned and mental abilities as we age. Actually, there are a number of factors in maintaining brain function in later life. Please check out my page Important Facts About Your Brain (and Exercise). Regular readers know that I am retired and have been taking courses from The Great Courses for some time. Lately, I have become fascinated with the brain and how it functions. The latest class I am studying is “The Neuroscience of Everyday Life” taught by Sam Wang, Ph.D, Associate Professor of Molecular Biology and Neuroscience at Princeton University. Additionally, Professor Wang is the co-author of the best-selling book Welcome to Your Brain which has been translated into 20 languages. I have only just begun reading the book, but I ran across a passage on page 36 that I thought would interest and benefit readers of the blog. The following is from a two-page write-up titled Tricking Your Brain Into Helping You Lose Weight. “Early food exposure influences dietary preferences in adulthood, and eating habits formed in childhood follow many of us around for the rest of our lives. This sounds like a really worthwhile technique. Getting to understand how the brain hunger signals work can be very useful in fighting the battle of the bulge. From the chapter heads, I expect to have more ideas from the book to share with readers. If you can’t wait for snippets from me, I suggest buying the book. It came out several years ago.